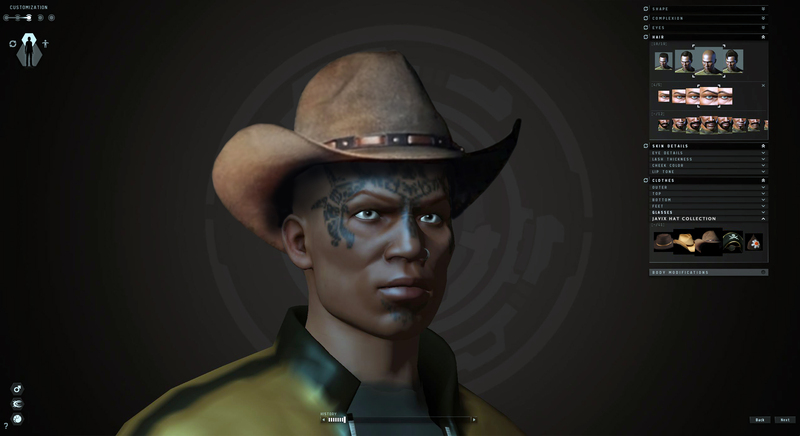 If recent server leaks are to be believed – and CCP Darwin has essentially confirmed that they are true – then hats are about to be available on TQ. Not skull caps, which have been around for awhile, but actual hats. You can see them for yourself here. Over the years I’ve become rather well known for putting hats on avatars, mostly for Eve community members over on #tweetfleet. Since 2010 I’ve created well over 500 various head decorations for members of the Eve community, CCP employees, and others. While this part of the story is well known, you may not be aware of the other side(s) of the story. It can all get rather complicated, so let’s start at the beginning. 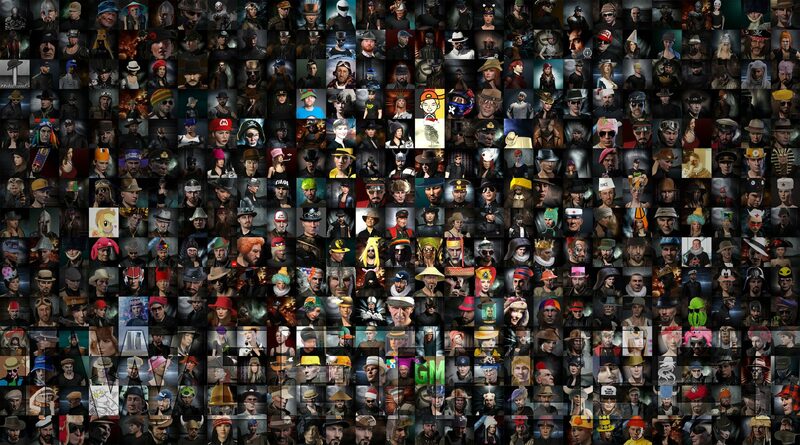 Hats on avatars came into their own during the Summer of Incarna in 2011. As a direct response to the high-priced fashion items being sold in the Eve Store, and to MonocleGate. To my mind, nothing illuminated the ludicrous nature more than silly hats on avatars on Twitter. So I began to add them to my own avatar, a new one every day during the worst of the Incarna outrage. This was not a protest against WiS, it was a direct protest against over-priced fashion. Which is an often forgotten part of that Summer’s problems. It wasn’t long before the idea caught on and I got my first request from someone to put a hat on their avatar. And so, step by step, the protest gained traction. Hats might very well be the longest running and most positive troll the Eve community has ever seen. The entire project was purposefully created to achieve several goals, all of which have come to pass over the past six years. First, it was intended to highlight how ludicrous the idea of fashion in Eve is without bodies to showcase it. We are, after all, only heads. As heads, the only true fashion statement we can make is with a hat. Secondly it was always intended as a humorous attempt to lighten the mood between the community and CCP. Hats are silly, but most of the hats look insanely good. Between those two extremes an argument exists that cannot be argued about. Everyone loves hats. And as such, it is an easy place to gain consensus between all parties. Read the CSM minutes from any year since 2011 and you’ll find hats being mentioned. Many CSM members over the years have understood the point of the hat campaign. T’amber, SugarKyle, and many others have advocated for hats in front of CCP. In fact, back when I would interview CSM candidates for my yearly endorsements, hats were always on the litmus test. If we could get CCP to consider something as meaningless and trivial as hats, bridges could be built to almost any other result. Often it is important to build consensus over small things before moving on to larger issues. Read the minutes over those years and you will see a CCP that initially told everyone that hats were impossible, transform over time into a CCP that began to believe they could happen. This, I believe, speaks to the larger transformation in CCP over the past six years. Probably nothing showcases the truth of those goals more than the Frills Campaign. In the Summer of 2012 CCP, as part of their on-going updates to ship hulls, released a round of updates to the Stabber hull. As a result, the vaunted Vagabond lost its wings, or frills, or whatever you want to call them. I started a campaign on Twitter by putting Victorian frills on avatars, often along with hats. The campaign grew and in-game events were held in support of a return of the Vagabonds frills. 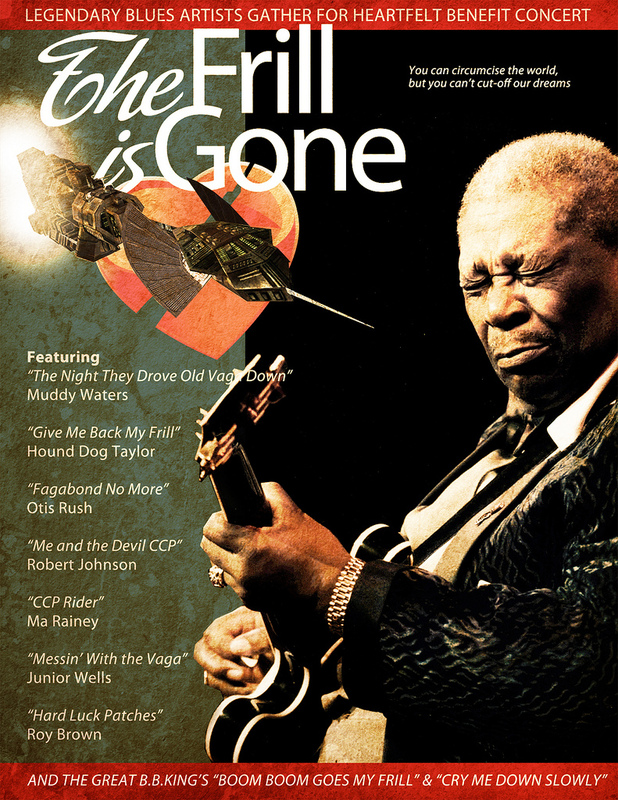 Ads ran in EON Magazine. And eventually the word spread into the dark caverns of CCP HQ and the Art Department. And presto, bingo, the Vagabond’s frills returned. It was a great example of positive non-aggressive protesting, and it worked. We even had a benefit concert. Hats continue to be a major trolling device on one hand and a semi-serious brainstorming device on the other. It is, and always has been, good-natured trolling. The more serious I seemed about wanting hats in-game the funnier the whole idea got. Once you put a hat on an avatar, the sky’s the limit. As a conceptual device it is extremely important and rather vital to consider. What are the limits? What exactly is appropriate? Why wouldn’t we have hats in the future? Or, why would we? If we can put hats on avatars, should we? And if we can do something as simple and stupid as that, what else can we accomplish? A hat is a transformative device. Just look at those avatars with hats on them and you’ll know what I mean. Once be-hatted an avatar takes on an entirely different, and more personal, appearance. They are transformed, in unexpected ways, from the mundane. Perhaps thinking about hats also frees the mind to consider other possibilities? At one time the mere idea of hats inside of Eve was a protest against high-priced fashion items that no one could see. They served a purpose as a spark-plug around which protest and player outrage was built. But that was almost six years ago now and Eve has moved on. CCP has built a tremendous amount of value into their vault at this point and things that once seemed grossly out of place, are now starting to feel more appropriate. Or at the very least, on the horizon. It would be easy to say that the entire premise of hats is silly and pointless. I’m sure many people reading this post are going to think so. And that is fair. It is silly, but I’d argue strongly that it was never pointless. Hats was never really about hats. It was about realizing the inherent silliness that Eve is built on, a silliness that we share with everyone that plays the game and with those that built it. Eve is ludicrous and serious business all at the same time. It is that combination of humor, seriousness, and unlimited potential that hats came to encompass. And why they remain so popular. And why I continue to get requests for them even today. They might just be hats, but then again, they can be anything.